It’s one of the most Egg-citing events of the year! Join the Easter Bunny as he gets things hopping around Lucky Ladd Farms – Tennessee’s largest petting farm and fun park, with our annual Spring Festival and Easter Egg Hunt. 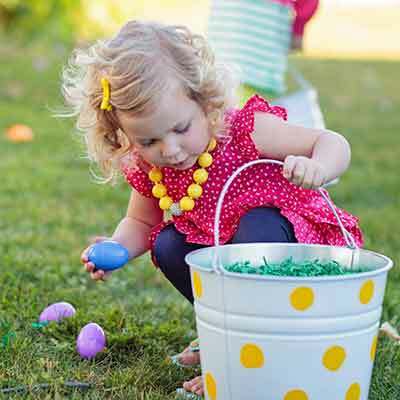 This annual Easter family tradition features fun games, activities, crafts, baby farm animal encounters and non-stop egg hunts all day long with souvenir prize packs for the kids! Plus Easter Bunny meet-and-greets take place each hour. Families love this award-winning 60-acre farm park for its over 75+ inventive attractions that appeal to all ages. From a petting zoo, acres of playgrounds, pony rides, Cedar Glade nature trails, wagon rides, splash pad, mega slides, tumbling tunnel, educational exhibits and more, adventures at Lucky Ladd’s will fill the day with good old-fashioned fun. Concessions, home-style bakery and ice cream parlor on-site.